Timi Dakolo and his wife; Bukola Dakolo celebrate their seven years wedding anniversary. 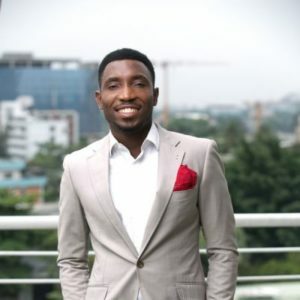 Powerful, unique and talented musician, Timi Dakolo, has taken to his social media pages to celebrate his seven years of marriage with his wife; Busola Dakolo. Timi shared a picture of his wife on his Instagram page, showering her with lovely words and how he’s been helpless loving her so perfectly. “THANK YOU FOR AGREEING TO MARRY ME O,TODAY MADE IT 7YEARS .I KNOW ITS NOT EASY.I KNOW SOMETHINGS I DEY DO DEY TIRE YOU BUT ABEG MANAGE ME LIKE THAT,NA YA I GROW..NOW YOU SEE WHY WHEN YOU WERE SHOUTING FOR BETTER FOR WORSE I WAS JUST SMILING(COS I KNOW WHO I BE).ANYWAY WE JUST START WORK,WE HAVE COUPLE OF FOREVERS TO GO.I LOVE YOU SO TEY I DEY TELL MYSELF TIMI DAKOLO CALM DOWN..E TOO MUCH BUT I NO DEY FIT.#happyanniversary #weddinganniversary #yardpeople,” he wrote. Timi Dakolo and Bukola Dakolo got married on the 31st of March 2013. And since they have been married, there has been harmony, love, unity and understanding in their marriage. Timi and Busola’s marriage looks so perfect as they have stayed off social media controversy for many years, going about their love in the most decent and sweet way. Their marriage has produced three beautiful children (a boy and two girls), Alex, Hallel and Zoe Ateni Dakolo. A big congratulations to the Dakolo’s on their seven years of starting a family.